Implantable Cardiovascular Device Monitoring – With an aging population there has been a corresponding increase in the number of patients requiring implantable cardiovascular devices. These devices include pacemakers, Implantable Cardiovascular Defibrillators (ICD’s) as well as Cardiovascular Resynchronization Devices (CRT), loop recorders and 30 day monitoring. Patient device follow-up is crucial to the management of device patients to identify and prevent premature battery depletion, lead failures and device optimization. 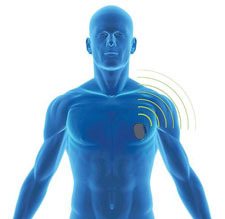 These devices can also detect silent arrhythmias that can cause stroke as well as heart failure indices and a host of other cardiovascular problems such as inappropriate therapy delivered by a patient’s ICD.